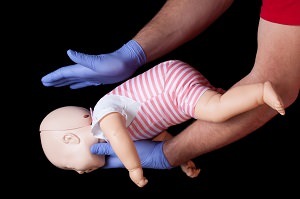 If your work place risk assessment indicates that first aid training covering the emergency protocols of first aid is all you require, then this 1 day Emergency First Aid at Work training course is for you. 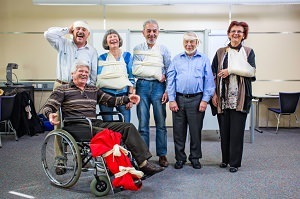 This course is ideally suited to small, low risk, companies, organisations or working environments that require their nominated first aid staff to receive emergency first aid training only. 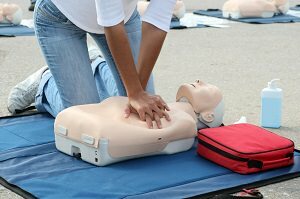 The course complies with the Resuscitation Councils Oct 2015 new guidelines and includes AED awareness as part of the training. The candidates will receive continuous practical assessment throughout the training day and will be required to demonstrate a level of both verbal and practical “skills competency” in passing 6 practical scenario assessments to gain the qualification. A basic level of both spoken and written English will be required. On successful completion of the course the candidate will receive a industry recognized First Aid certificate which is valid for three years. Refreshments will be provided throughout the day and are included in the course fee, unless training is completed on site.